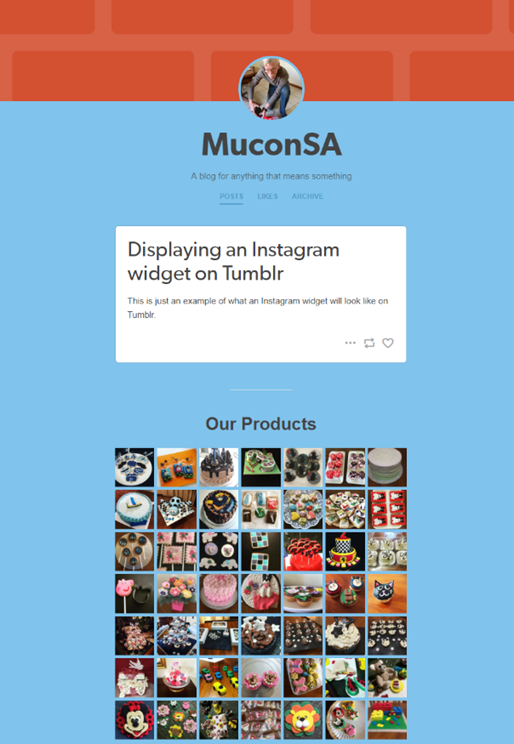 How do I add an Instagram widget to my Tumblr website? 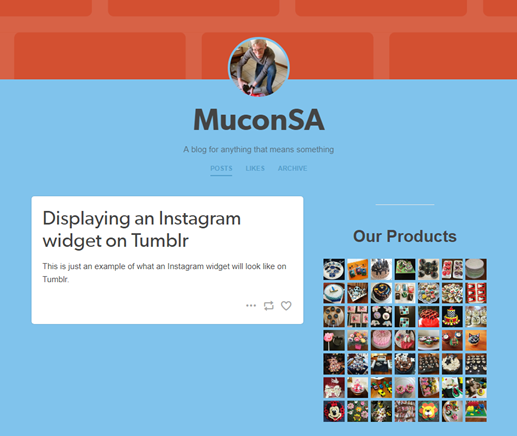 Adding your Instagram, Facebook or Twitter widget to your Tumblr blog is easy. Follow these steps to create your widget. Log in to Tumblr and go to your Dashboard. Under Website Theme, click on Edit theme. A <hr> tag to display a horizontal line above the widget. 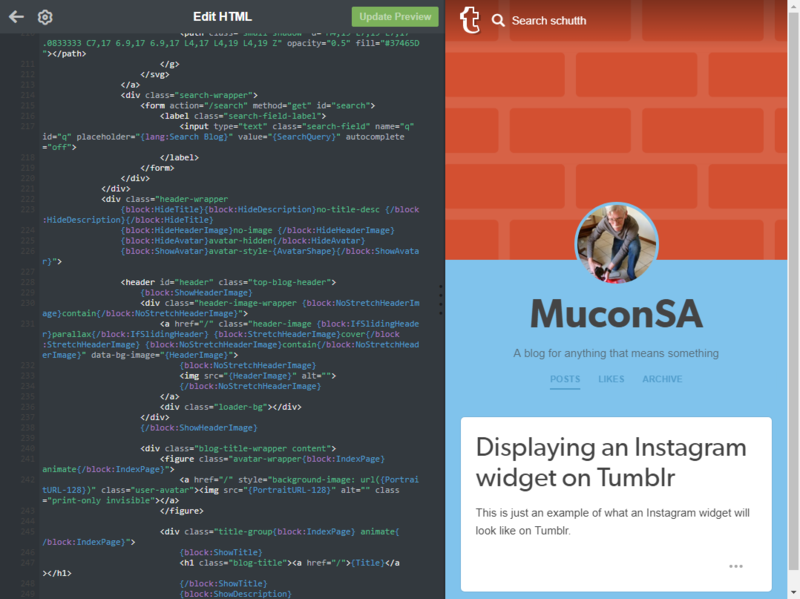 Header tags, e.g. <h1>Our Products</h1>. You can use <h2> or <h3> as well depending on the required header type. Encapsulate the widget in a <div> area with the widget centered in the chosen area, the width of the widget set to a % of the chosen area, and the header text centered as well. You can also change the width of the SnapWidget widget in the snippet code but this will only be applicable for this instance, anywhere else you display your widget it will be as you set it up on your SnapWidget dashboard. You can make changes to these settings to suit your taste. Let’s look at a few places where you can display your widget. Tip: Working in the HTML editor with Line wrap toggled on makes reading your HTML code very difficult due to the shared Preview pane. To make reading your HTML code easier, click on the Edit options button. Toggle Line wrap to OFF. Insert widget before any posts, but after the navigation line. 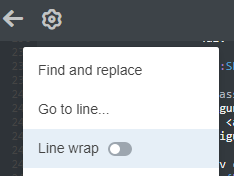 Insert your snippet just below this line (Tip: add a <br/> tag at the end of the snippet to insert a break between the widget and the post). Click on Update Preview to preview your changes in the preview pane. 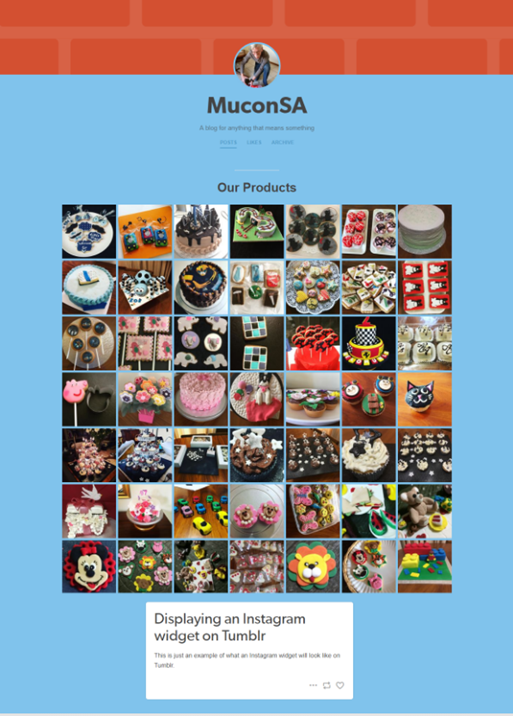 This will display as follows on your blog page (before any posts, but after the navigation line). Click on Save to update your blog. Insert widget at the bottom of the posts content. Insert your snippet just before this line. This will display as follows on your blog page (at the bottom of the posts contents before the footer, max width = width of the posts container). Insert widget in the sidebar. Insert your snippet just after this line. 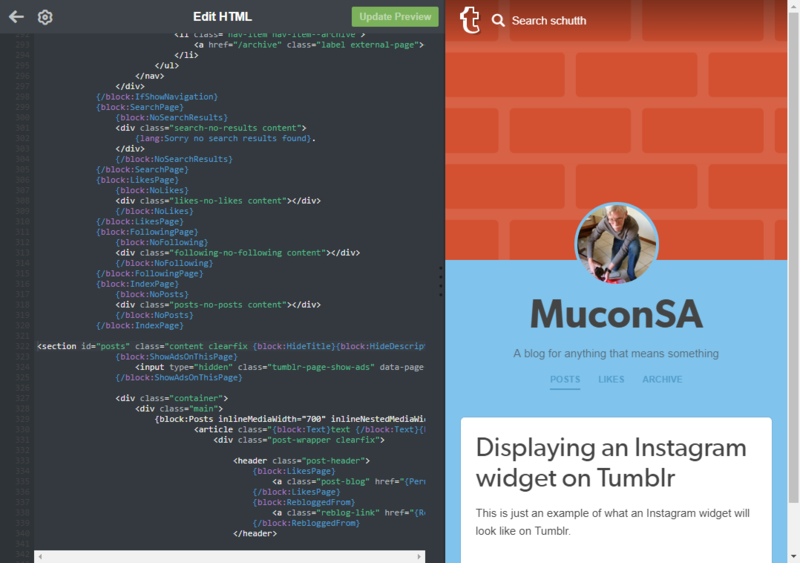 This will display as follows on your blog page (in the sidebar, max width = width of the sidebar).